Nowadays, most of the UNIX based systems come with several basic backup software options, including dd, cpio, tar, and dump. If the basic backup software of your server does not meet your needs, then there are a lot of options for backup software on internet that you may consider to check out. 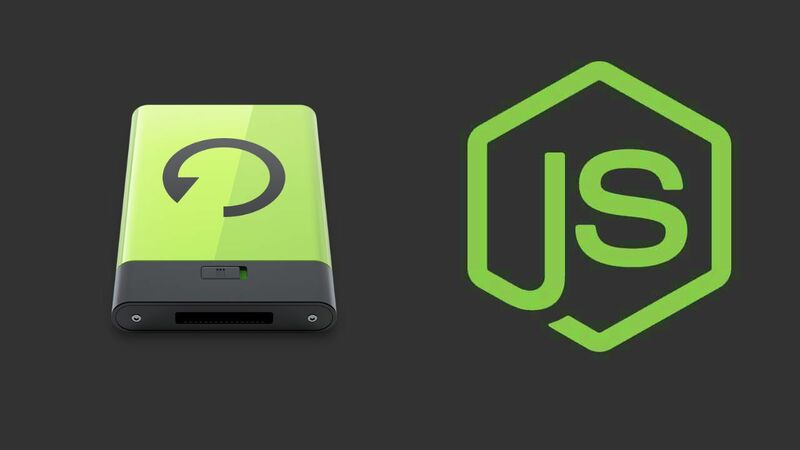 However, you can still be an old-fashioned programmer (maybe more cautious) and create a home-made backup with Node.js by downloading an entire folder from your webserver and storing it inside a hard-drive in your home or office. The command line utility tar for collecting many files into one archive file (available by default on any UNIX based server). The script can work on Windows Servers, however the tar utility should be available and instead of redirect the output to 2>/dev/null, it should be NUL instead. Obviously you need Node.js installed and some patience. Let's get started ! If you need more information about the SSH2 module, please visit the official repository in Github here. If you need more information about the tar-fs module, please visit the official repository in Github here. After the installation of the modules, you can write some code that will download an entire directory from your server locally as a backup. In order to test the script, create a demo file, namely backup.js and save the following script inside. The following function works like this: using the connection object from the SSH2 library, a command will be executed in the remote terminal (something like tar cf - /folder/to/download 2>/dev/null and if you use compression tar cf - /folder/to/download 2>/dev/null | gzip 6 -c 2>/dev/null), this command will stream all the compressed files and folders to our connection (redirects the standard output (stdout) to /dev/null, which discards it, treated as black hole in Linux/Unix) and with the help of the tar-fs module, you will be able to extract the streamed data into some local directory. * Transfers an entire directory locally by compressing, downloading and extracting it locally. With this single snippet, you will be ready to download a directory. Once the script finishes, you should get a new folder (backup) in the same folder where the script is located. This script is really useful if you want to create backups from your projects, specifically files that the user uploads in projects like WordPress or other kind of CMS.